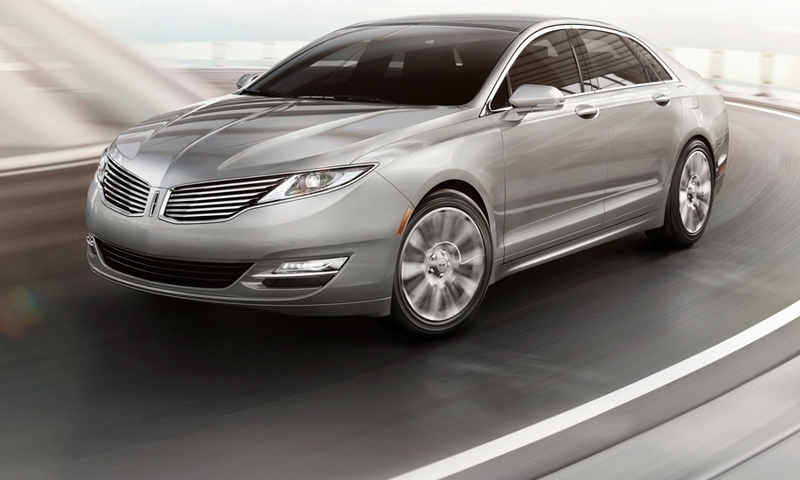 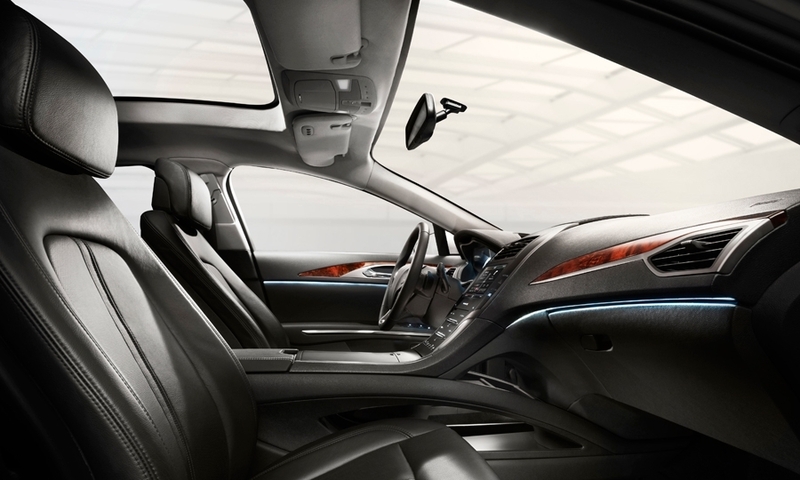 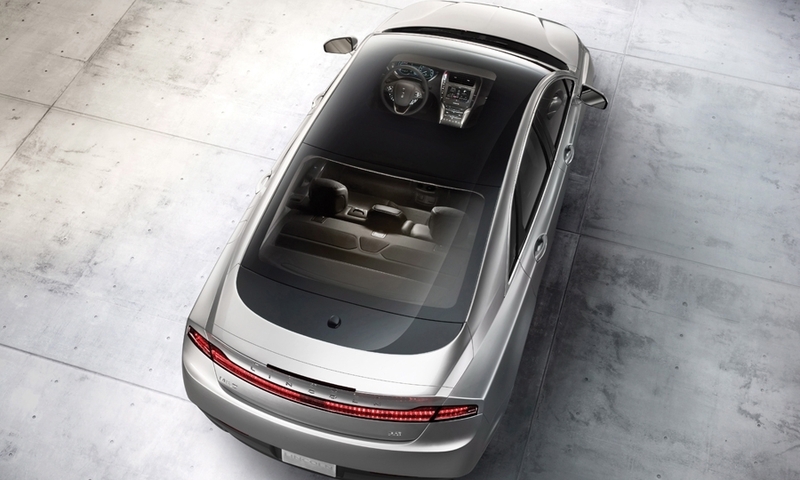 The 2013 MKZ offers a range of unique styling and technology, punctuated by a sweeping retractable glass roof. 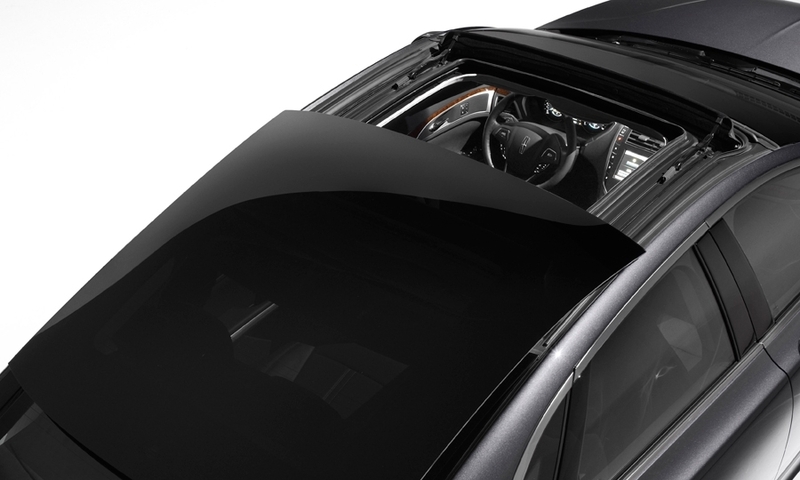 The car is being revealed this week at the New York auto show, ahead of its launch on the market later this year. 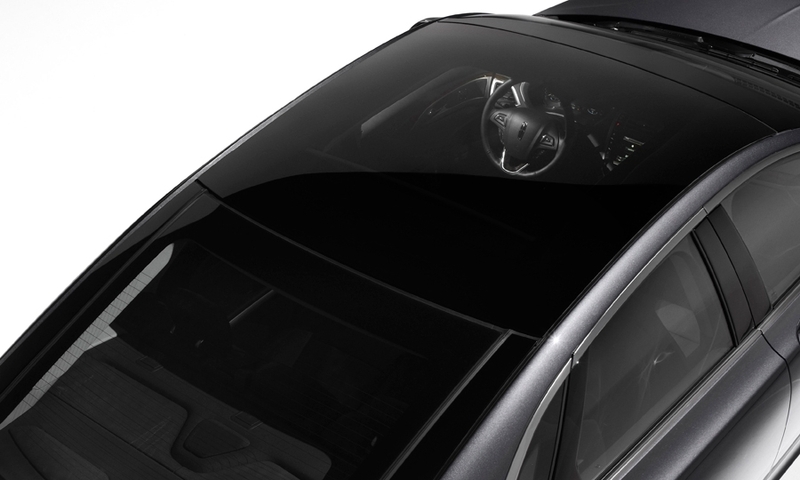 The roof is the most striking feature, with a 15.2-square-foot glass panel letting in a vast expanse of light. 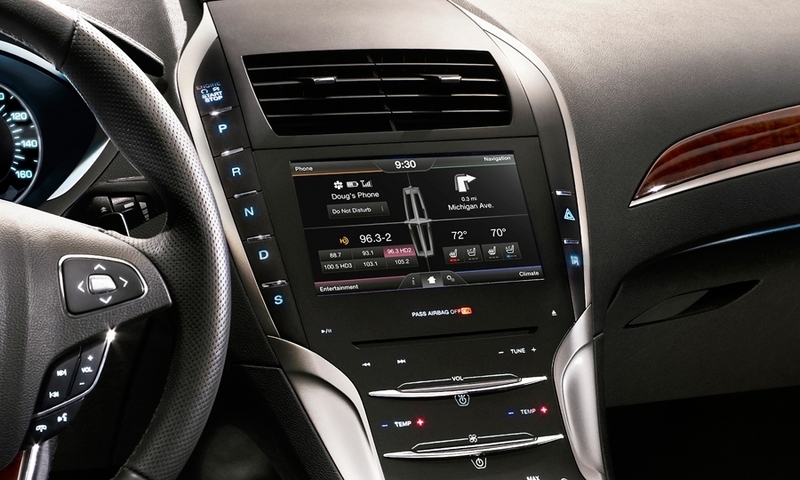 There's also a push-button transmission shifter, LCD instruments and wood trim throughout the cabin. 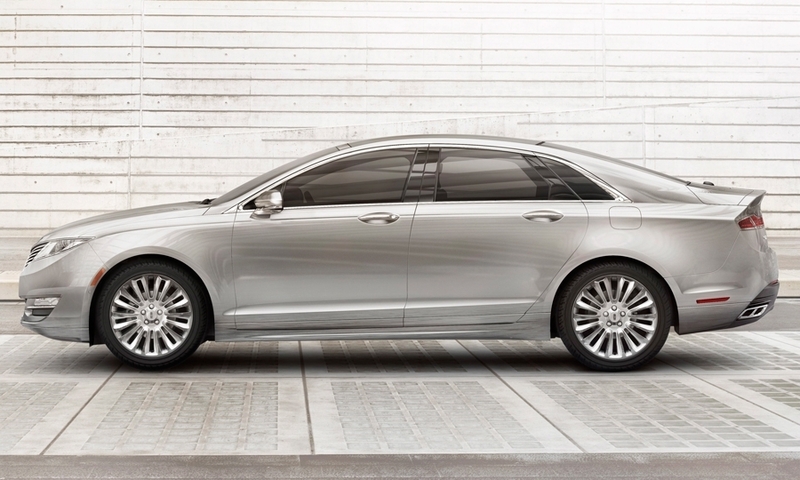 The design is showcased with a split-wing grille, a raked roofline and LED headlights. 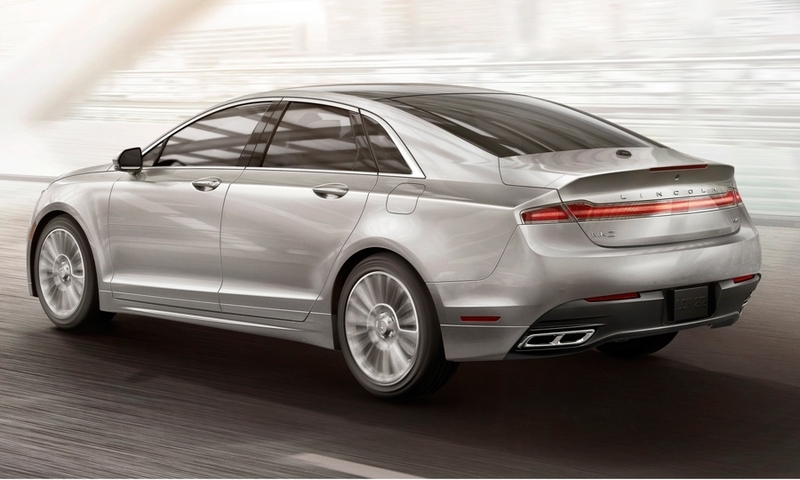 The sculpted hood and fenders look dramatically different from previous Lincolns and Fords, and the back has wide taillights that cut across the car's profile.